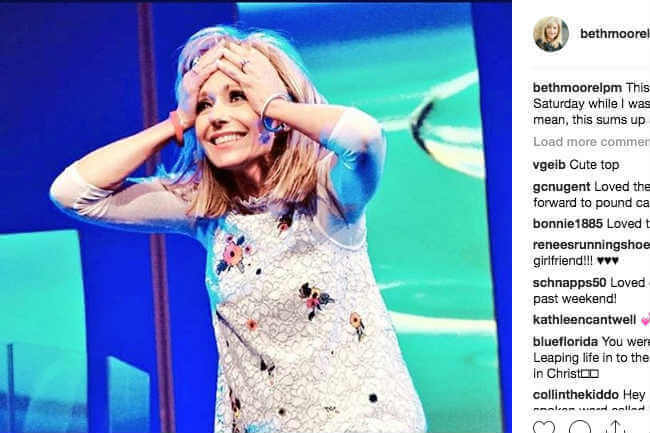 Beth Moore, the tiny blonde mom who has become a Bible study giant, has long been loved by Christian women. Few Bible teachers are able to point us to Christ the way Moore does, with frankness and no-nonsense hard truths tied to really relatable stories to help get her message across. That message has been unfailingly one of dependence on Christ. However, Moore has added a little bit of extra to her message the past couple of years. I think it should be pointed out that although Beth still spends like 99% of her time exclusively pointing us all to Jesus, her comments the past couple of years and even as recently as last week about sexual assault should not be discounted—and they certainly do not point us away from Christ.. I have to tell you, I really appreciate her speaking out about her non-tolerance for violence against women, and sharing the fact that she herself was a victim of sexual abuse as a child. 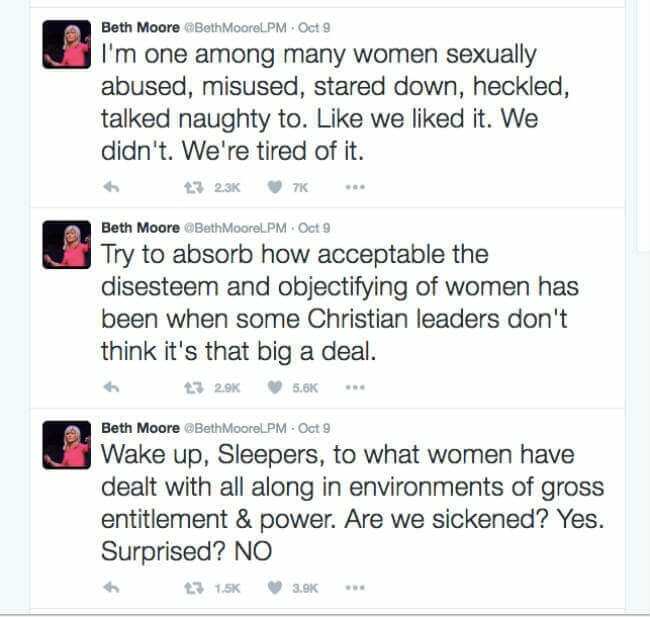 However, I would argue that Beth Moore’s tweets were not political at all. 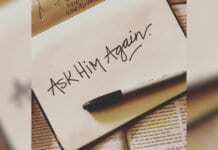 They were a pleading from one Christian woman to her Christian brothers to see that sexual assault is a damaging, terrible act of sin against a woman, and to not excuse it for any reason. In my opinion, the proper response to a tweet of this nature is love and compassion. A great example: a tweet like the one from Southern Baptist ethics chair Russell Moore, who is no relation to Beth. 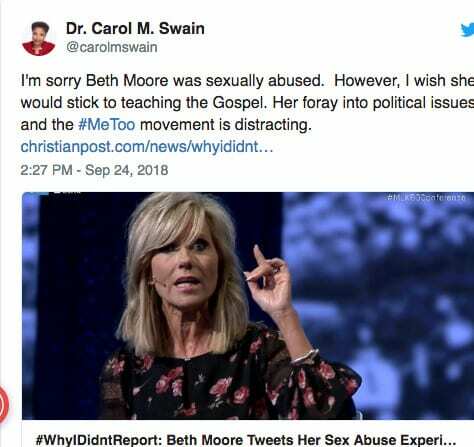 I find this tweet by Bible teacher at Dr. Carol Swain to be the opposite of Russell Moore’s…and well, GROSS. Female victims of sexual assault have been told to keep their mouth shut for far too many years. It’s very sad to see here another Christian woman is telling Beth Moore basically to shut up and stick to what makes the rest of us feel comfortable. 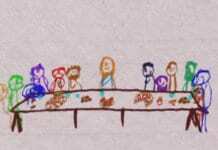 A quick look through the Gospel tells me that Jesus often spoke to people about things that made them feel uncomfortable. Jesus also often expressed opinions that were unpopular. Jesus looked upon those who had been sexually abused or even convicted of sexual sin with compassion. I asked him to love one another and to treat our neighbors as we want to be treated. Put your self in Beth Moore’s shoes. Imagine that you were the victim of sexual assault. 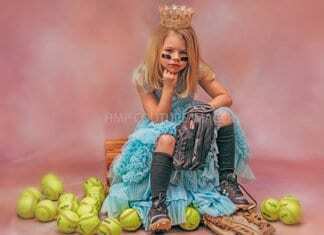 Then imagine how you would want to be treated when you were finally brave enough to start telling your story. Treat her that way. Treat all victims of sexual assault that way. 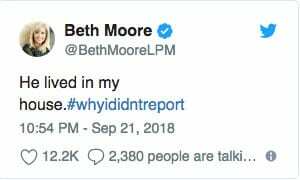 Jesus would not tell Beth Moore to be quiet about sexual assault. And neither should we. Thank you, Beth. God’s call on your life has never been more evident. Next articleSmallfoot Movie: Should You Take Your Kids?